Another day, another new idea for what dark matter might be. This time, it is a paper that proposes dark matter is made of regular matter. For those who are familiar with dark matter, this might raise an eyebrow because dark matter can’t be regular matter. 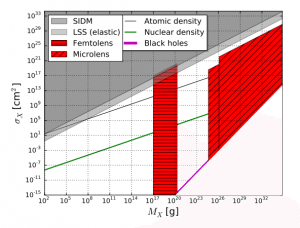 In fact, what this paper shows is that while observational data excludes the usual suspects for dark matter such as cold gas and dust, small black holes and the like, there might be a way to shoehorn regular matter into the picture. The solution they propose is, quite literally, a bit strange. The options for dark matter are limited. Credit: David. M. Jacobs, et al. With all the searches for dark matter, we’ve actually eliminated most of the candidates. Low mass WIMPs (weakly interacting massive particles) have largely been excluded by underground dark matter detectors. Primordial black holes (small, asteroid-mass black holes) would gravitationally microlens starlight when passing in front of a star. We haven’t observed such an effect, so they are largely excluded. Other small, dense bodies such as neutrons stars and brown dwarfs (collectively known as massive compact halo objects, or MACHOs) are excluded for similar reasons. So dark matter isn’t gas, dust, MACHOs, WIMPs, black holes, so what’s left? The authors propose that it could be strange matter. Most regular matter is made of electrons, protons and neutrons. Protons and neutrons are made of two types of quarks known as up and down quarks. But there are four other types of quarks as well, and one of them, known as the strange quark, is the closest cousin to up and down. It has been speculated that strange quarks might appear in the ultradense cores of neutron stars, and could lead to the formation of quark stars. So what if in the early moments of the universe, when protons and neutrons formed through a process known as baryogenesis, strange quarks also appeared and produced dense clumps of strange matter. If these clumps had a similar density as neutron stars, but with masses somewhere between 1 kilogram and a trillion kilograms, then they would satisfy the gravitational needs of dark matter while still being allowed by current observational limits. They call these dark matter clumps MACROs, for macroscopic dark matter. There are some problems with the idea. For one, strange quarks are extremely unstable. The authors argue that neutrons are also unstable by themselves, but stable in an atomic nucleus. Perhaps a similar effect would occur with strange quarks, so that clumping would make them stable. A bigger problem comes from the cosmic microwave background, which clearly distinguishes dark matter from regular matter in its fluctuations. 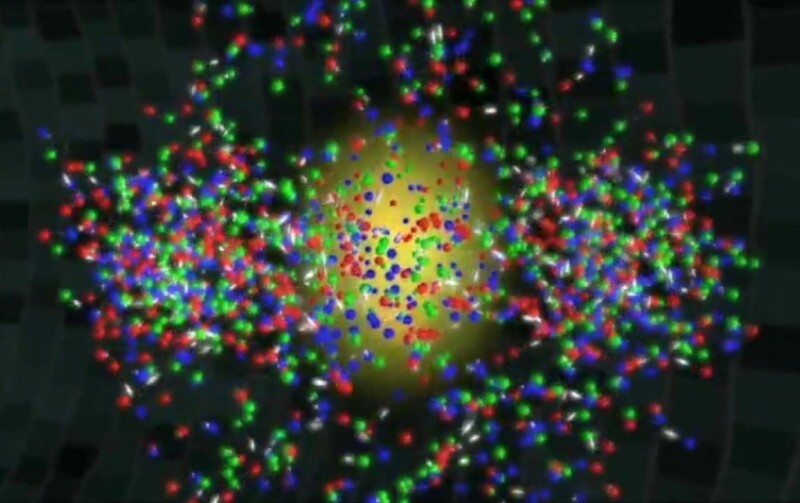 To get around this, the authors propose that the MACROs formed quickly, before the formation of protons and neutrons. If 90% of the early quarks formed into MACROs, then this would agree with data from the cosmic background. If this all sounds like a just-so story, you’re right. The model is kind of a wild proposal tweaked to fit the current observational limits. 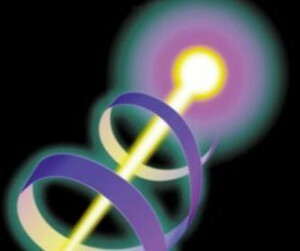 It also relies on speculation about how quark matter might behave in the early universe. But as I’ve mentioned before, this is the kind of thing we need at this point. The cautious ideas have been excluded by observational data, and as more options get excluded we’ll keep throwing theoretical pasta at the wall to see if any of it sticks. It’s the kind of thing that happens when models and data start seriously butting heads. And that can make for some strange days. Why would this kind of dark matter clump around galaxies and not be distributed in the same way as regular dark matter? I struggle to picture of how those object just made of a different quark should act completely different when galaxies are colliding. If they are regular matter, just ‘invisible’ then they should still be in a similar place as visible regular matter, shouldn’t they? There is a mistake in the first sentence: It should be ‘regular matter’ at the end, not ‘regular dark matter’. That wouldn’t make sense.